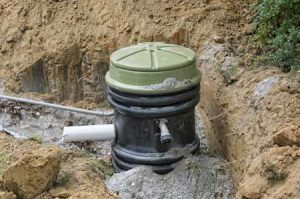 Does your property have a dry well system installed to supplement the storm drain and help manage the excess rainwater? If so, then it is likely that you will need dry well repair services from time to time as all dry well systems develop issues with time and usage. No matter what sort of dry well problems you face, look no further than us for dry well repair services in the Issaquah area. Installation of a dry well system is a relatively small but important investment that goes a long way in protecting your property from water damage. The functioning of the system, however, is dependent on its maintenance. We advise you do not ignore dry well maintenance and have dry well cleaning service done at regular intervals to remove all accumulated debris as well as detect dry well problems that may be developing. Further, we assure you that any issue you encounter with the dry well system on your Issaquah property can be taken care of by our skilled professionals. Our company is staffed by well-trained technicians that have extensive experience in handling simple and complex dry well repair jobs. 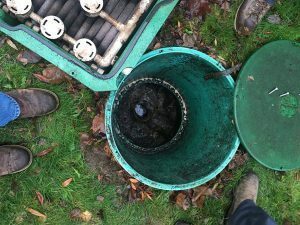 Ignoring dry well problems and putting off dry well repair can turn out to be a costly mistake. We cannot let you do that! We make ourselves available 24/7 to provide emergency service for fixing dry well problems in Issaquah properties. Do not hesitate to call us anytime you become aware of a malfunction in the working of your dry well system. We send our crew as quickly as possible to resolve the issue.